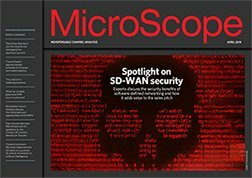 WatchGuard has been looking to work with more managed service providers for the last couple of years and has been taking steps to make itself an attractive proposition to the growing MssP community. Its latest innovation is to roll out a cloud platform that brings together security management and reporting into an interface that can be used by managed service providers. MSPs can use the platform to manage an unlimited number of customer accounts and manage and deploy security features across a range of appliances and applications. “MSPs need a modern, cloud-hosted security solution that’s capable of providing powerful security insights, unlimited scalability and easy deployment processes,” said Andrew Young, SVP of product management at WatchGuard. “WatchGuard’s mission is to make cyber security simple and this applies not just to end users, but also to the partners who deploy, configure, and manage our products and services,” he added. There appears to be a growing focus on ensuring that those managed services partners that are working with customers are able to provide the best security advice. NTT Security launched its 2019 Global Threat Intelligence Report (GTIR) earlier, revealing that finance was the most attacked sector in EMEA, accounting for 30% of all attacks. Professional services, technology and manufacturing were the other sectors that made up the top four attacked industries across EMEA. Speaking about the research Fumitaka Takeuchi, security evangelist, vice president, managed security service taskforce, corporate planning at NTT Communications, said that customers had to look at who they were partnering with. “Many organisations are caught up in simply buying solutions to problems that either don‘t really exist, or a solution that costs more than the potential loss being prevented. Our advice for organisations, regardless of the industry they operate in, is to leverage existing relationships with trusted experts and to keep an eye on professional and managed service maturity in the cybersecurity space. First and foremost, it is essential to know where the real risks lie and then develop solutions accordingly," he said.